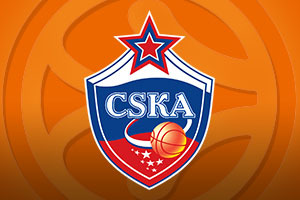 The home team are on a 1-4 record in the Top 16 and they are in for a tough match as CSKA Moscow arrives with a 3-2 record in the Top 16, a 12-3 record in the overall Euroleague season and a 15 game winning run over their opponents from Kaunas. It could be a tough night for Zalgiris on Friday. A 6-9 record overall in the Euroleague this season tells its own story for Kaunas and this game is a tough one to try and change matters in a positive manner. Players like Palius Jankunas, Ian Vougioukas and Brock Motum are the ones that the Kaunas fans will be pinning their hopes on but there is no getting away from the fact that this is a big challenge. Defensively, Kaunas has allowed an average of 88.6 points per game in the Top 16, the poorest record in the campaign so far and the team trails with respect to two-point shot accuracy. 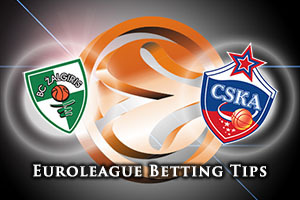 There is still time for improvement for Zalgiris but it is unlikely to come this week. If you are looking for reasons why CSKA will win this game you only need to look at some of the leading statistics. The team has the best scoring record, averaging 90 points a game and the team is ranked as the leading index rating leader, with a score of 107.5 In Nando De Colo, they have the top scorer, with a 19.1 points per game average and De Colo is ably assisted by Milos Teodosic who is the sixth top scorer in the league, with a 15.1points per game record. Add in the fact that Teodosic is also fifth with respect to assists, with an average of 6.3 assists per game and you realise why this CSKA Moscow team is a favourite in the vast majority of games that they play in the Euroleague. The away team are strongly tipped for this one and taking CSKA Moscow at -11.5, at odds of 1.90 looks to be the smart bet. When it comes to the Over/Under market, you have to say that going OVER 164.5 looks to be a sensible choice. Bet Now!